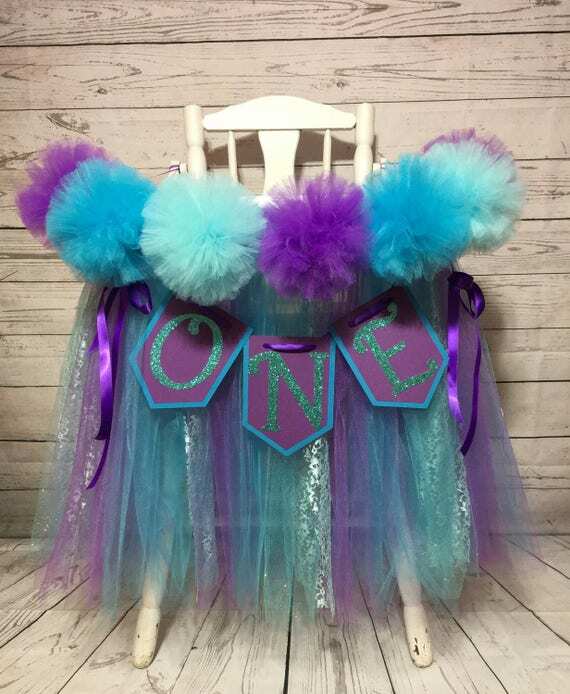 "ONE" banner is included with the High chair Tutu. High Chair tutu shown is 24" in Length. Listing includes the Tutu and "One" Banner. The optional Tulle Pom Pom Banner includes 7 Pom poms that each measure 5.5 inches wide.